I often hear people talk about the books that changed their lives. They reminisce full of passion and rose-tinted nostalgia: those books and authors who they remember fondly from their youths, books that changed their beliefs, books that marked special times in their lives, books that remind them of one person or another. Reading means a lot to me. Fiction and non-fiction, poetry and kid’s books, even magazines and articles and blog posts. Yes, Facebook and Twitter posts too. The written word is something special. The way it can be swapped and changed and moved around, how these squiggly little symbols on a page can mean so much, can evoke a whole host of emotions and actions. It’s actually quite bizarre if you think about it, these obscure little markings that are so ingrained in us, in our lives, that we barely even notice them anymore. We see beyond the words, beyond the text and the lines and the pages. We get a glimpse into the authors mind and soul, we get images dancing around our minds and maybe the kindling of new thoughts and ideas. Books in particular are amazing things, if you think about it. Quiet and unassuming, no in-your-face loudness of special-effect riddled movies – they don’t need any of that, just a gentle coaxing nature that doesn’t really care if you don’t love it back but if you do – boy, if you do, you’ll feel the warm embrace of the words and the story and maybe some new friends along the way. The book will take you beyond the pages and into a whole new world, a whole new life. Books can help you to escape from your troubles or inspire you to action. Books can be a friend or a glimpse into a world unknown. Books allow us to explore things we maybe cannot explore, and understand things that perhaps we don’t understand. There are so many books that have touched my life that it would be nigh on impossible to pick just one. I had a book of poetry when I was a child (I’ve still got it, actually). 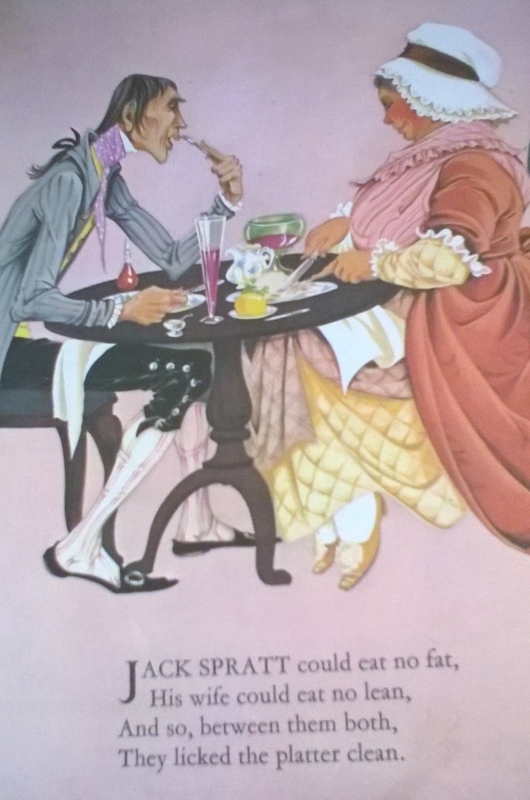 I’d stay up late and look through the illustrations – Jack Spratt and his wife, the fairies who danced in the rain. I’d sit on my mum and dad’s bed as she read them to me, brushing my hair or making me laugh. Wynken, Blynken, and Nod, and the one about the chimney sweep running over the London rooftops. I’d look at the pictures as she read, or the 1970s style bedspread with orange printed flowers (that I once burned a hole in with the hairdryer accidentally). 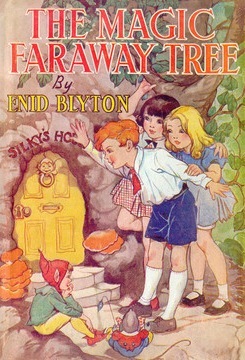 As I got a bit older there was Enid Blyton – a staple those days. We’d climb the tree, my mum and I, with Jo, Bessie, and Franny, up to the top in the Enchanted Wood and we’d say hi to Moon-Face and Saucepan Man and the woman who threw her washing water out of her window. I never really cared for the worlds at the top. It’s the tree itself I loved, with all those whimsical characters. Then there was that summer I remember as the summer I read a lot (inventive title, I know). It’s odd but I don’t remember any of the books I read, just that I devoured books from the day we left school until the day we went back. I vaguely remember the one about a plane crash or some such. And perhaps that was the summer I discovered George Orwell, many months after my mum had purchased the collection for me. I would sit on the floor by the roaring fire (because you need a fire in a British summer) and read until my entire side started to burn from the heat and then – well, then I’d swap sides and read some more, totally immersed. As I got a bit older and fell deeper in love with Orwell, I went through a dystopian phase. 1984 and Brave New World. Lord of the Flies too. The manager of the charity shop I helped out in asked why I would want to read such nonsense and I remember the surprise I felt – why would anything think a book nonsense? Too deep, she said. Too depressing. Then there was Pratchett and Mort; I’d finally discovered humour. I’d never read comedy before and hadn’t realised that books could be funny. 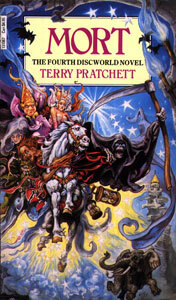 I fell in love with Death (the character, of course) and my journey into Discworld began. I associate Pratchett with trains, sitting on a train and quietly giggling, because I was at university during this time and I commuted by train. A little later, someone then gave me a copy of The Celestine Prophecy and I realised that books could be for more than just telling a tale or writing pretty sentences. It made me think and ponder, even if I didn’t agree with it all. It made me look at life a little differently, it made me question and contemplate. I had an accident a few years back and ended up in hospital. 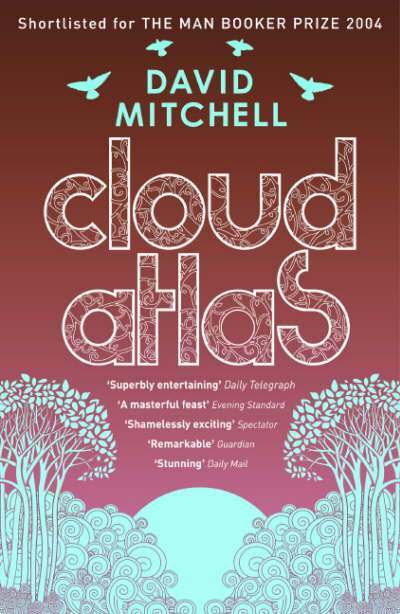 Whenever I think of those times, I remember Cloud Atlas and smile. I was reading that at the time; it’s a great book. There are so many books that mean something to me and every book I’ve read has touched me in a way – be it bad or good, or even mediocre. Books are wonderful things and when people tell me that they don’t like reading, I feel a little sad for them and what they are missing out on. I’m sure people would say that about me and something I don’t do but really, stepping into a book is like stepping into a whole new world, a whole new life and with thousands upon thousands of worlds and lives to choose from, how do you know you don’t like it, until you’ve tried them all? The books you read will attach themselves to the times in your life, the events and the people you knew. The books will bring back memories of those times and memories of those times will bring back memories of those books. They go hand in hand. I know, when I’m old and dying and taking in my last breaths, I’ll remember my life: family and loves and adventures, but those memories – each and every one of them – will be punctuated by books. What books have had an impact on your life? I feel I’ve answered your question in the first couple posts on my blog. Ooo, I’ll have to go check them out now! For anyone else who is interested, here’s the link to the first one. It’s a great read! Really captures the essence of childhood bookish memories. I very much enjoyed the way you explained the way the characters fit into moments of your life. Lovely written post. Thank you 🙂 I could have gone on forever about all the books I remember with fondness haha! It really is amazing just how much of an impact books can have on people’s lives. 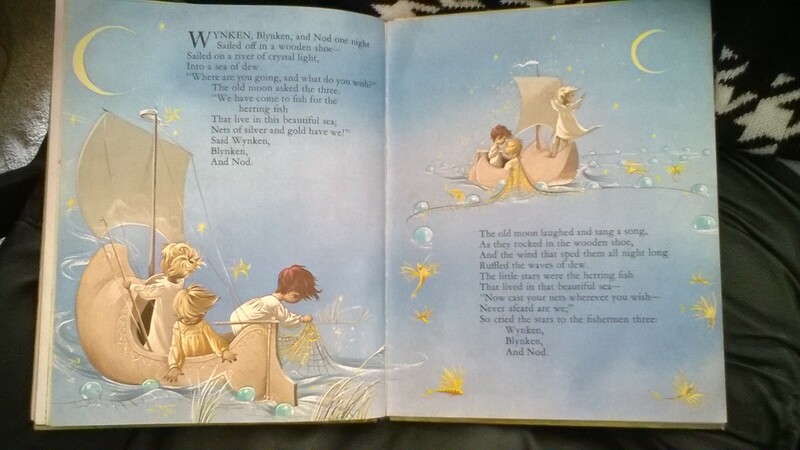 ‘Noddy Goes To The Seaside’ – the first book I remember being read to me, requested over and over again apparently – the start of my love of books and of the seaside? That’s a tough one. There really are so many, but most for me are going to fit into the political and religious categories. I’ve done a lot of religious study, the Tanakh, the New Testament, the Holy Qur’an… There’s a nonfiction book called Semites & Anti-Semites by Bernard Lewis… And I am a bit of a news junkie, Israeli and other Middle Eastern news especially. Aside from those things, there are books like The Merchant of Venice, The Diary of Anne Frank, and Toni Morrison books (Beloved and The Bluest Eye.) The Sun Also Rises was my favorite book for many years, and when I was younger I loved reading poetry, in particular Lord Byron and Emily Dickinson. So I’m all over the place! At the moment my favorites are The Settler, by Orit Arfa, Desert Flower by Zohra Saeed, and three loves stories by A.M. Khalifa, all now featured in a book called Paper Cut Hearts. Not that you were looking for a huge list, but there you have it! My list is far different from yours, and our writing reflects those differences too! Wow there are some fantastic books on that list DM! Some really deep stuff too! I do enjoy a heavy book sometimes but my brain is too fickle to concentrate on them all the time haha! Funnily enough, I did a lot of religious studies in university (I studied Philosophy but took several modules on Philosophy of Religion) and my first thesis was on religious wars, although I focussed primarily on Christianity and Islam, so I studied the Bible and Qur’an quite extensively. I did quite a bit on Buddhism too. I’m not in the slightest bit religious but religion fascinates me and I am always curious about the whys and hows of religious life. Perhaps it’s because ‘faith’ in that sense is something I don’t really understand. I tried reading Beloved and couldn’t get into it but I think it might have been a false starter – I definitely want to give it another go in the future. I’ve not read anything else by Toni Morrison but her reputation precedes her. Beloved is a weird book, very strange in some places and also heartbreaking. But it’s one of those books that when you finish, you’re in awe of the writer. Incidentally, I hate Toni Morrison’s politics, but I didn’t find out about that until after reading some of her work.